Hello my lovely fellow bloggers. Today's card is a sympathy card for a lovely dear friend of mine who has just lost a very close family member. Its very simple and easy to make but has so much colour and beauty to it at the same time. The most time spent making this card was on the decoupage on the front. 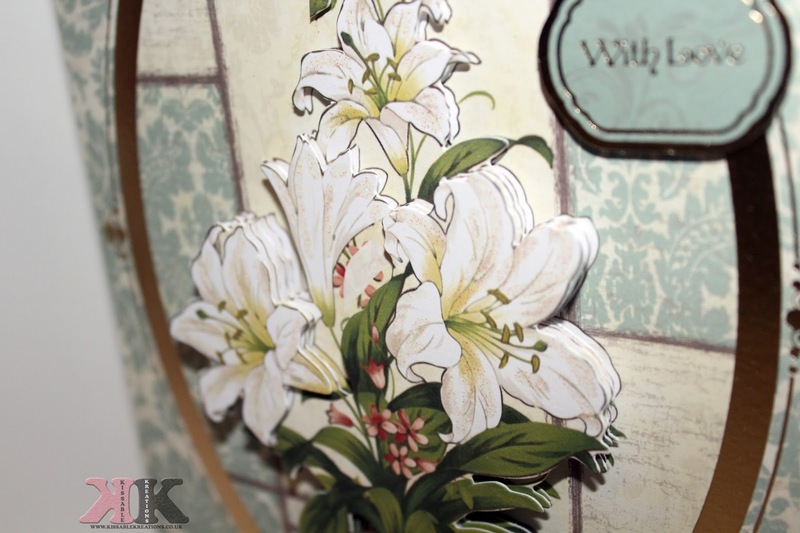 I had it from a lovely decoupage kit which came with the card, Sentiment and the actual lilly decoupage. The colours really complement each other so well and brings such a strong card to life. I hope my friend gets the love and support she needs to get through this hard time. What a beautiful card. Cards are so special to me, someones words can be so comforting. I hope your friend is OK. I have just been searching for ideas for a sympathy card. Yours has inspired me to create my own. 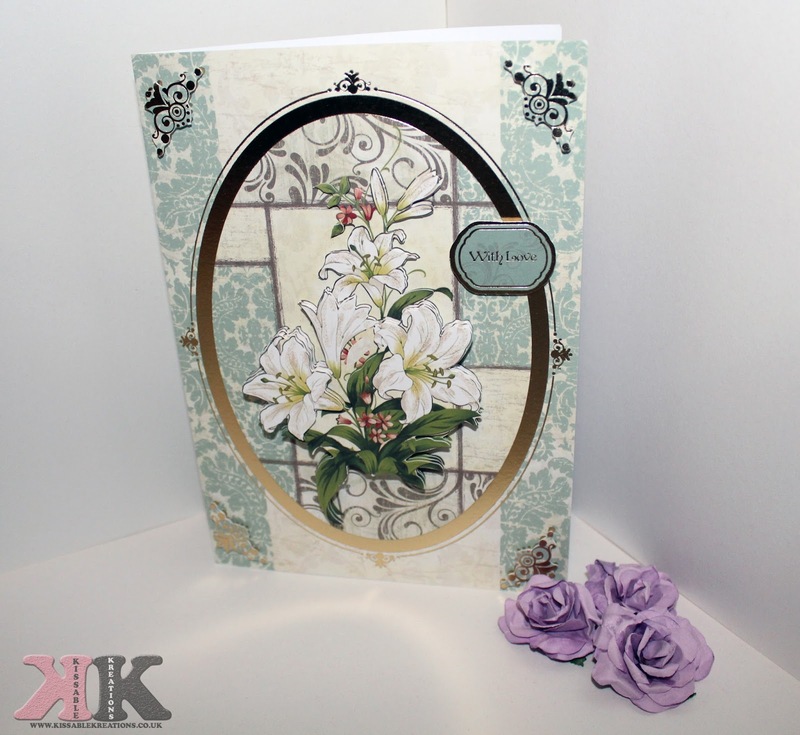 The card looks very pretty and is perfect as a sympathy card. Sorry to hear about your friends loss.